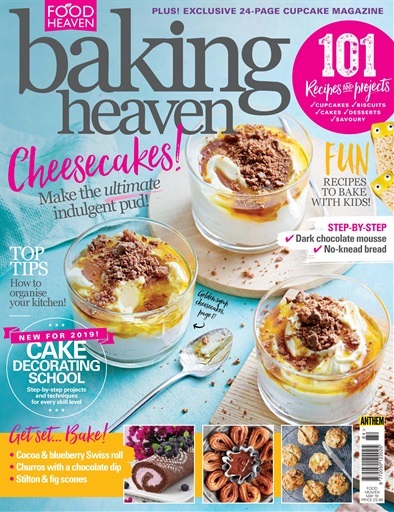 Baking Heaven is the UK’s best selling baking magazine, with 101 delicious recipes, projects and step-by-step techniques every month - it’s your essential guide to baking sweet and savoury treats! 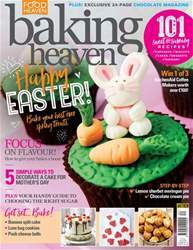 Focused purely on sweet baking, Baking Heaven magazine is sure to get your mouth watering for freshly baked, naughty goodness. Discover how to make the perfect cake toppers and celebration bakes in the new Cake Decorating School for Beginners, plus enjoy expert interviews, top trends and much more. Whether you’re a beginner or a connoisseur, Baking Heaven has something for everyone - from making pastry or decorating cupcakes to perfecting the art of macaroons, Baking Heaven helps you take your baking and cake decorating skills to the next level! Whether you’re looking for tips to perfect your classic sponge recipe or looking for inspiration, a Baking Heaven digital magazine subscription is for you! 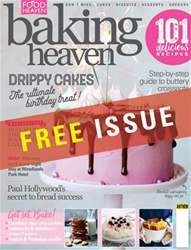 Baking Heaven is published by Anthem Publishing every month and was launched in 2012 as part of the Food Heaven series. Aimed towards The Great British Bake Off generation, it’s a sure way to stay inspired whilst you get to try and test out new bakes and recipes. Each issue is jam-packed full of seasonal delights, with a focus on giving you the right recipes for when you actually need them. It’s time to start drooling over crumbly cheesecakes and fruity Victoria sponges in the summer and bake some delicious home comforts in the winter, such as mince pies or bread and butter puddings. With Baking Heaven you’ll stay up to date on all the top baking trends, from pretty in pastel macaroon recipes to glorious galaxy mirror cakes - Baking Heaven has got you covered. 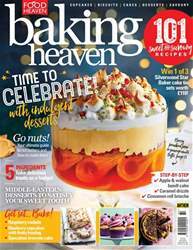 If you’re looking for a fabulous new mouthwatering recipe to try out or a quick and easy dinner-party worthy dessert, you’ll find it in your monthly digital issue of Baking Heaven!